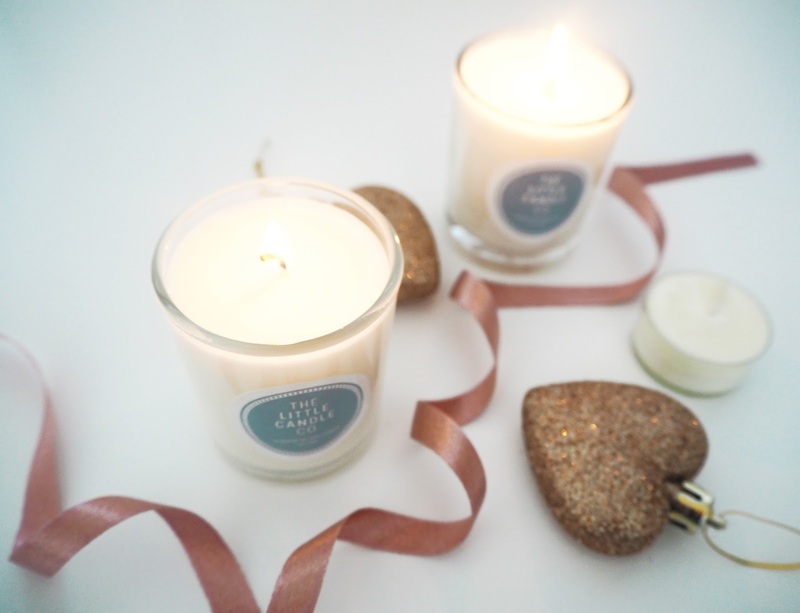 You already know how much I love candles & all things fragranced in general and today I'm going to introduce you to a new handmade brand of candles I have recently discovered! I met James back in November (in Lush as it happens!) and we got to talking about our mutual love of fragrance and he told me about his candle making business, The Little Candle Co. He gave me some candles to try and I thought would share them with you. I always like to support small businesses (especially as I run one myself) and think gifts are so much more special when they are handmade! 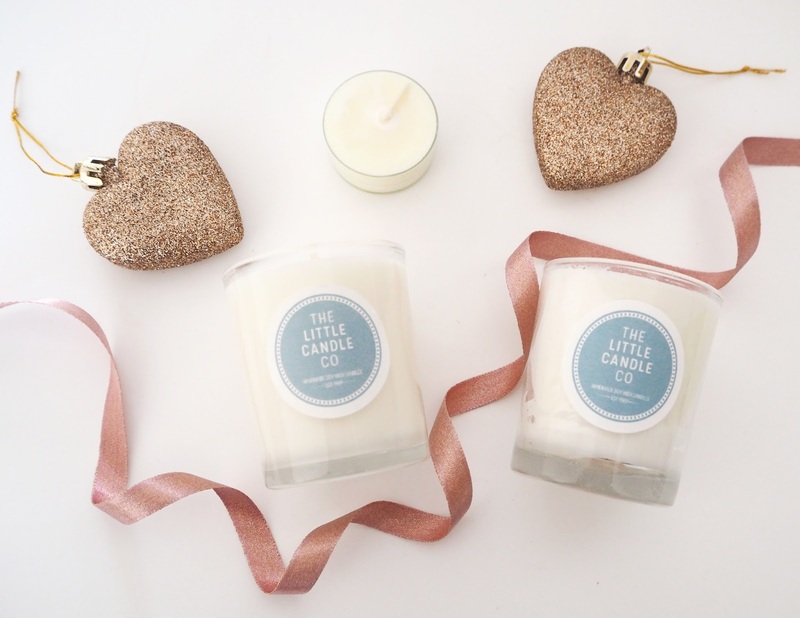 "On one rainy and very windy day, the Little Candle Co was formed. left right and centre which made this dream a reality. 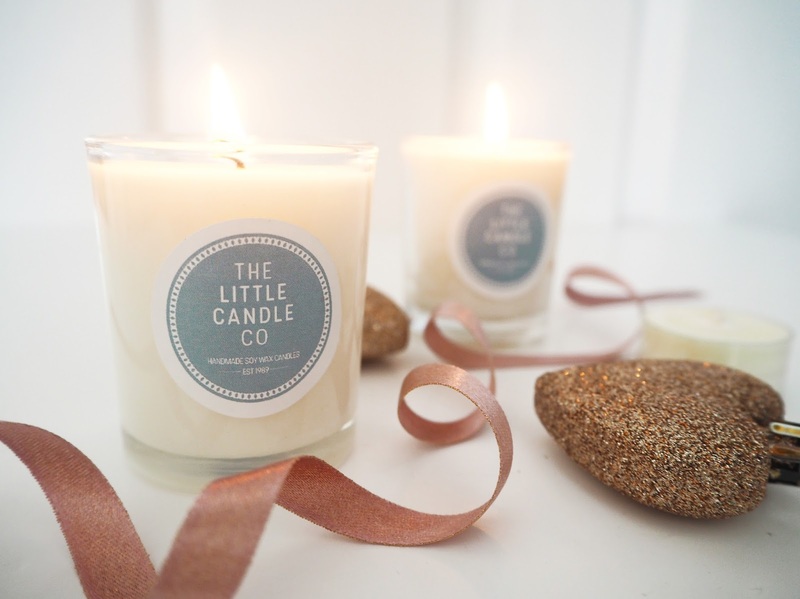 to having its very own online store, this is just the beginning for The Little Candle Co."
All Little Candle Co products have been carefully crafted by hand, containing natural oils and also eco friendly products. The first think that struck me was the chic white packaging, with signature pastel blue logo, which I think would look good in anybody's style of home and looks adorable sitting on my own dressing table. 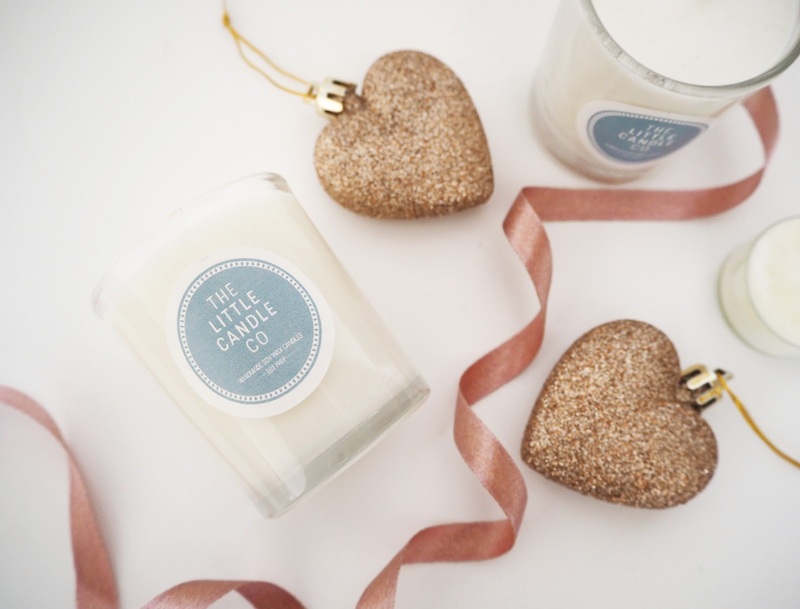 The Little Candle Co uses 10% more fragrance oils than is in the average candle and I could tell as soon as I removed them from the packaging that this was absolutely the case when I was hit by the amazing fragrances! I found the throw was much stronger and the scent would linger in my room longer than I'm used to as well which is a bonus. The fragrances I got were Black Orchid and Amber, Peach & Vanilla in jars plus a tea light in the festive scent Winter. The jar candles have a burn time of 45+ hours which I think it amazing for a little jar! I think my favourite fragrance of the ones I tried is Amber, Peach & Vanilla, I loved the soft musky notes from the Amber and Vanilla with the bright fruitiness of Peach - Heaven! Black Orchid is a real sensual fragrance perfect for burning in the evenings I think, particularly if you're planning a romantic night. Winter was a lovely surprise as I didn't know what to expect from it but to me it smells of spiced oranges, like a mulled winter drink! You can view a full list of the fragrances available here: Fragrance List. Signature Fragrances have been blended using only the finest oils and constant experimentation with different combinations means Little Candle Co.'s library of scents continues to grow. There are many scents inspired by popular perfumes such as Viktor & Rolf Flowerbomb, Lady Million, Tom Ford's Black Orchid (the one I have) & Pomegranate Noir! There is even a Misrule fragrance inspired by the ever popular Lush's Lord of Misrule Bath Bomb. Right now the best seller is La Vie Est Belle so I'm putting that on my list to try next! 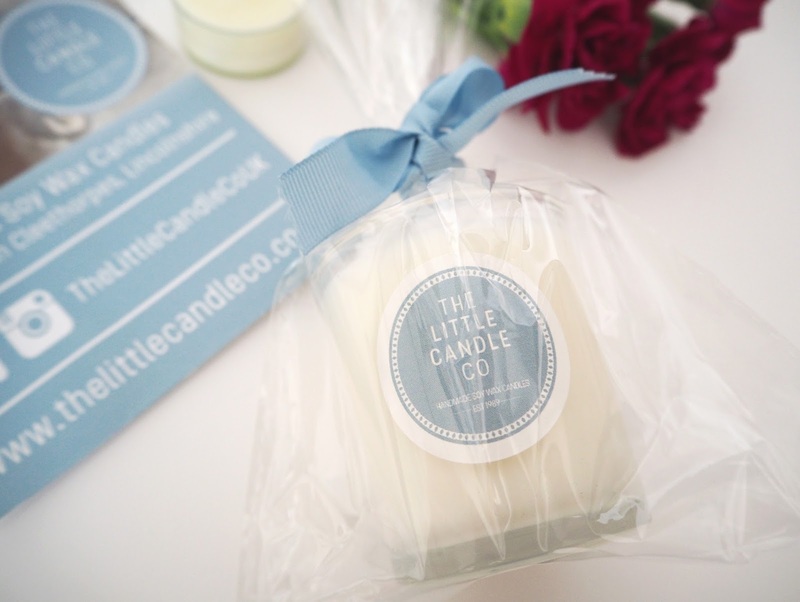 All fragrances are available as Candles, Reed Diffusers, Room Sprays & Wax Melts. Overall I really love these candles and I'm so impressed with the quality. 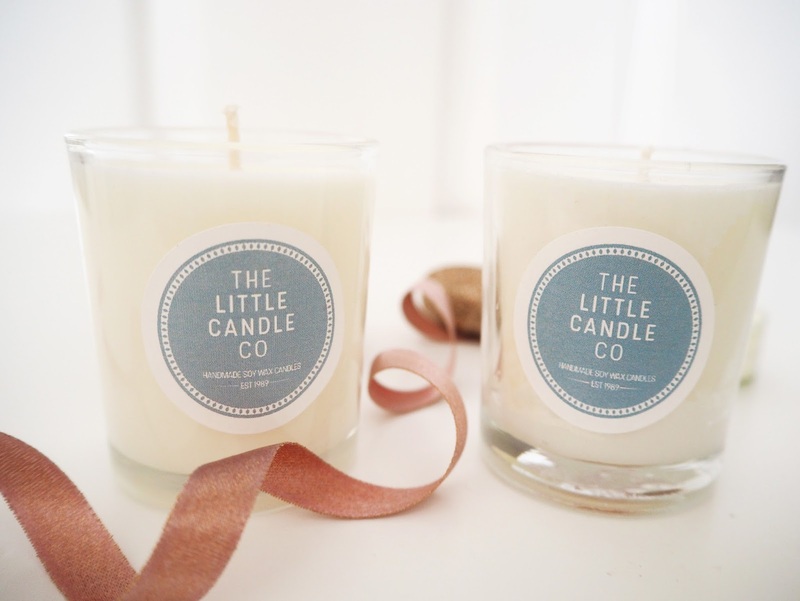 I think candles always make perfect gifts but these in particular have a unisex appeal with the both the packaging and fragrance options. So in my opinion they are an ideal gift choice for your loved one this Valentine's Day! The Wax Melt Burner with 10 Heart Shaped Melts would be my choice and I'd recommend Black Orchid or Pomegranate Noir for a romantic night in. 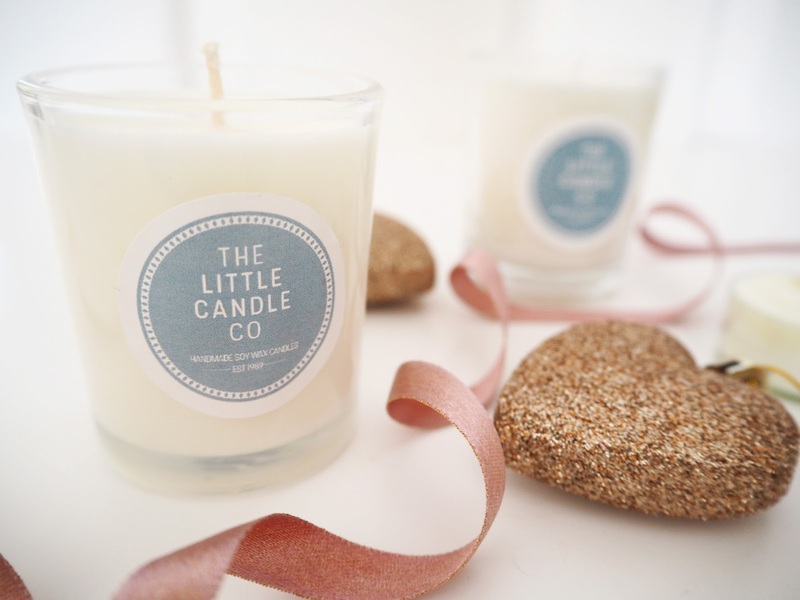 You can buy the candles online at The Little Candle Co, visit the Facebook Page and follow on Instagram.